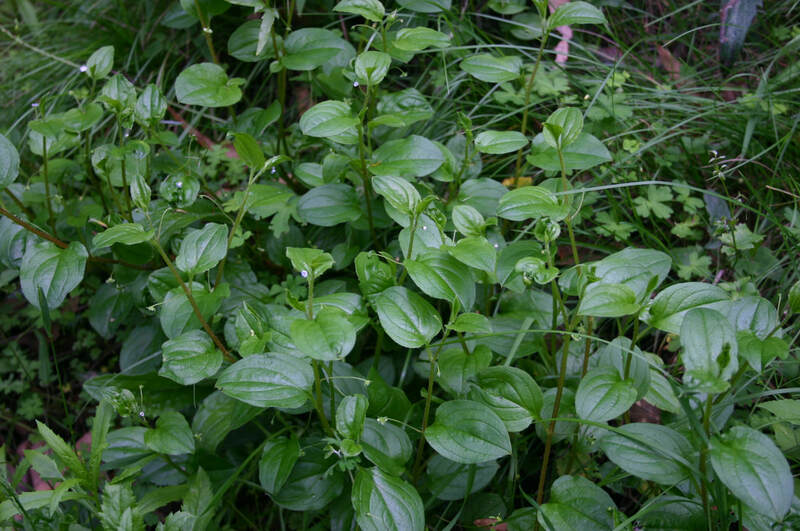 Medium green elliptic to egg-shaped leaves. Upper surface bristly and shiny. Hairy edges. Located alternate on stem. 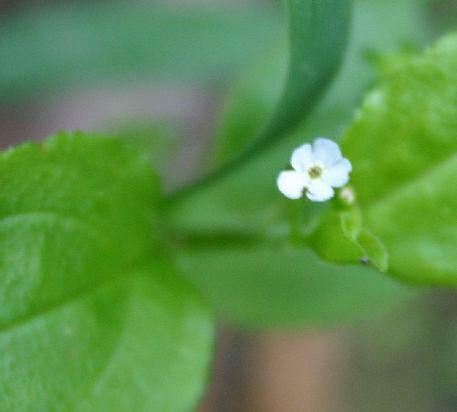 Flowers are usually single on a long stalk. Bluish white in colour. About 4 mm across. 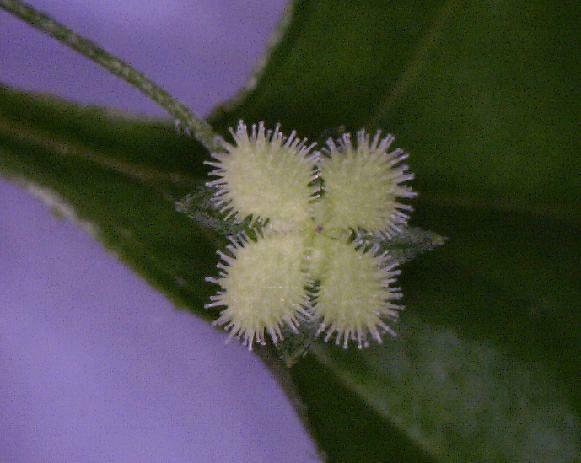 Four globular fruits per flower about 3 mm diameter with hairs. Light green. From seed. The hairy fruit is sticky and is carried on animals fur, etc. 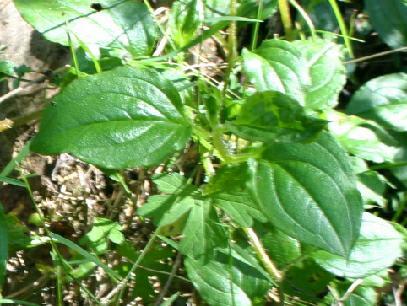 Naturally occurring plants in moist, shaded forests.Common to the Eastern states of Australia.